YES! BritishTheatre.com has tickets available for The Book Of Mormon! 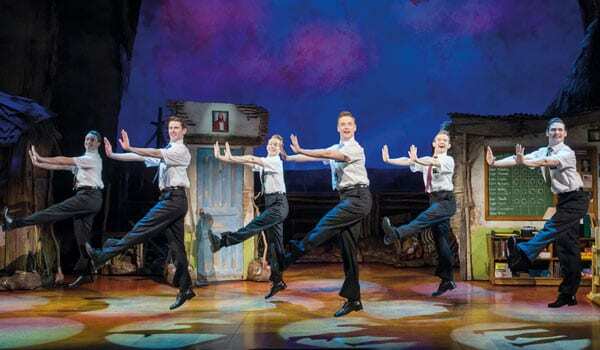 The Mormons are coming to Manchester – Book Now! 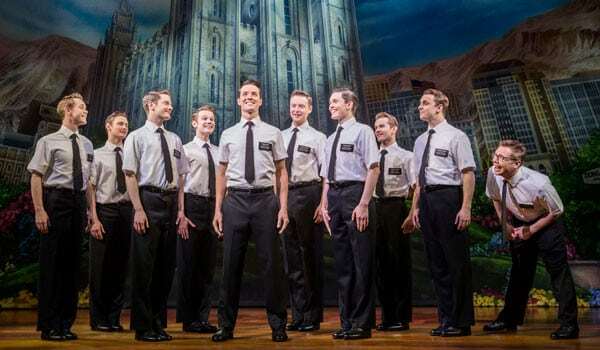 Following it’s phenomenal success on Broadway and across America, The Book Of Mormon is currently repeating its phenomenal success here in London. The show is still selling out in its second year and becomes more popular the longer it runs. Advance booking is recommended for the best seats but tickets are usually available through Britishtheatre.com at short notice. 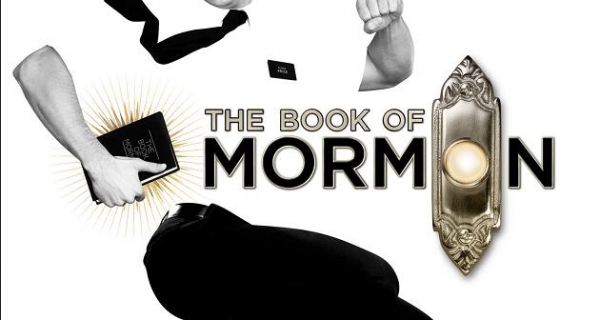 Rumours abound that tickets to The Book Of Mormon are hard to get and ridiculously expensive, we can assure you that Britishtheatre.com can supply good seats at reasonable prices. When tickets for The Book Of Mormon in London went on sales queues formed around the theatre and over £2million in tickets were sold on the first day. The Book of Mormon won 9 coveted Tony Awards on Broadway and its cast album is the biggest selling cast album for the past forty years winning the Grammy Award for Best Musical Theatre Album. The Book Of Mormon is a musical about friendship, about faith and what happens when people honestly believe! 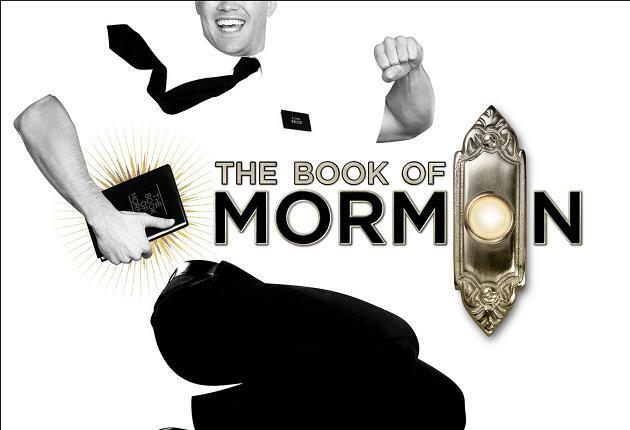 The Book Of Mormon is a new musical comedy from the creators of South Park – four time Emmy Award winners, Trey Parker and Matt Stone and Robert Lopez, the Tony Award winning writer of Avenue Q and Academy Award winning composer of the animated film Frozen. 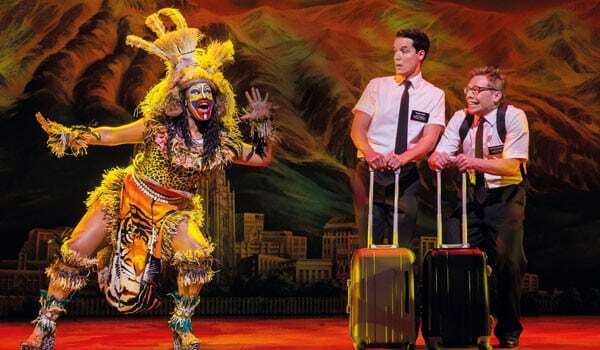 With its tongue planted firmly in cheek and a nod to classic Broadway musicals, The Book Of Mormon is a subversive, comical and yet strangely as traditional a Broadway musical as you are ever likely to find. 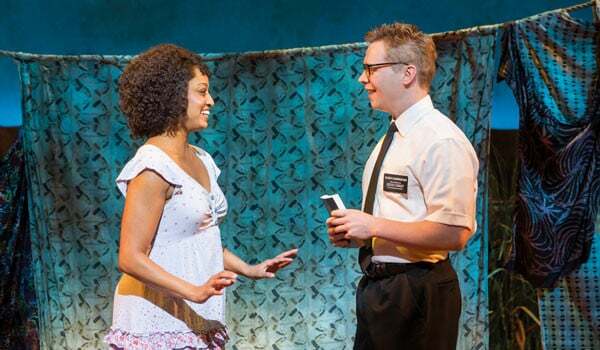 The Book Of Mormon is generating an enormous cult fan following world-wide as people of all ages submit to its humour and subversive take on the modern musical. Don’t come to this show expecting your traditional musical, it’s not, although it does borrow and lampoon many major musicals including The Lion King, The Sound Of Music, The King & I and many more. That said The Book Of Mormon is not a musical for children nor for anyone who is easily offended. Parents should use South Park as a baseline for judging whether to take their children to The Book Of Mormon but please be aware that there is a LOT of swearing and profanity in the show. 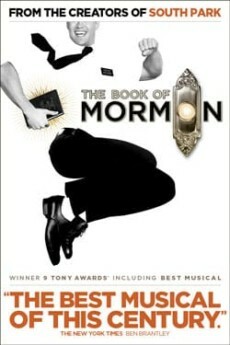 Britishtheatre.com offer great Group Booking rates to The Book Of Mormon. Just click the BUY TICKETS button on the top right of this page and then click the REQUEST A GROUP BOOKING option when asked the number of seats you require. 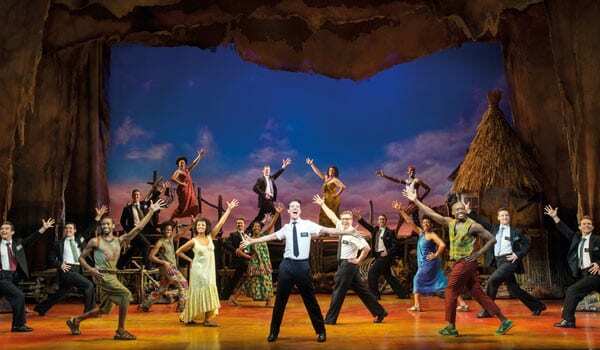 Britishtheatre.com is the one-stop online box office for tickets to The Book Of Mormon and for the best seats to the best shows in London’s West End. Whether you are a first-time theatregoer or a seasoned fan of theatre we will do our best (together with our ticketing partners) to ensure that you get great deals on theatre tickets and the very best of service. We hope to facilitate your trip to The Book Of Mormon at London’s Prince Of Wales Theatre and hope that you enjoy the show. Dean Maynard, Kelly Agbowu, Philip Catchpole, Christopher Copeland, Brendan Cull, Joseph Davenport, Jonathan Dudley, Harry Francis, Lydia Fraser, Tyrone Huntley, Reece Kerridge, Alex Lodge, Joshua Lovell, David McMullan, Tania Mathurin, Brianna Ogunbawo, David O’Reilly, Oliver Ormson, Sean Parkins, Stephen Rolley, Jacade Simpson, Rhys Taylor, Kayi Ushe, Elena Vincent, Rodney Vubya, T’Shan Williams. 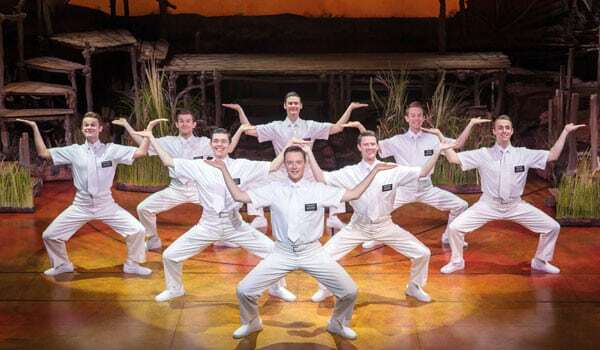 In short, London audiences will be delighted to know that the all-singing, all-dancing, all-praying ‘Book of Mormon’ lives up to the hype. 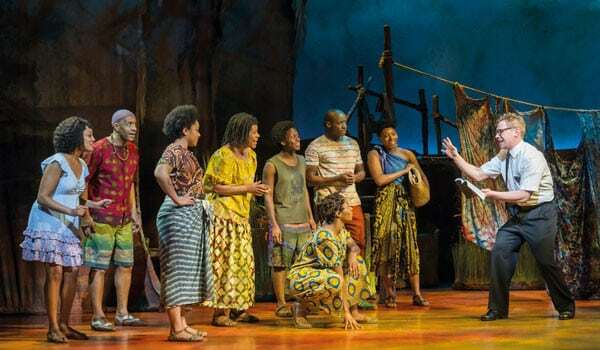 Original and irreverent, energetic and silly, it’s as fun and lightweight as a comedy musical should be – but thought-provoking, too: about religion, about belief, about how the privileged West views Africa. Parker, Stone and Lopez deliver gasps, laughs and vibrant new songs in the way that only great writers can. The result isn’t just great: it’s Mormonumental. 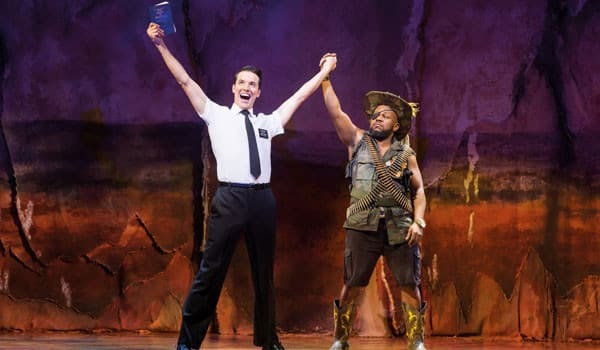 At its best, The Book of Mormon is indecently funny…there are bursts of brilliant comedy, and it’s hard not to be swept along by its joie de vivre. But while acknowledging that it is often damnably clever and sharp, I find it hard to warm to the show. I am the first to concede however that this is likely to be a minority view. Not recommended for children under 16. Please be aware that The Book of Mormon does contain prolific uses of profane language that would not be suitable for children.